About Gabriel - Wild With Gabriel! Gabriel volunteers in Shenandoah National Park where he gives bear talks, educates park visitors about safe human/bear interactions, and assists visitors with their stay in the park. He loves bears so much, and wants to help keep them safe! 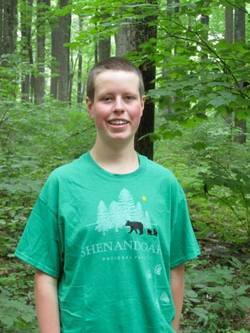 Gabriel Mapel, is a young Naturalist from the Shenandoah Valley of Virginia with a deep love and connection to bears. As a homeschooled teen he is undergoing a study of the bears in his local park, mapping out a region that he monitors in detail. Each year, from the time the black bears emerge from the den until they return in the fall, Gabriel is wandering the woods in search of his bear friends. He has studied the entire ecosystem, knowing which food sources are ripe at different times of the year, increasing his ability to find the bears he is searching for. He has learned their size, facial markings and territories allowing him to recognize each bear as an individual that he can follow from the time they are cubs, to growing up and having a family of their own. It is this profound personal relationship with the bears that makes Gabriel's observations so powerful and insightful. In his new book "My Life With Black Bears" Gabriel shares some of these observations, giving the reader a rare glimpse into the world of Black Bears. 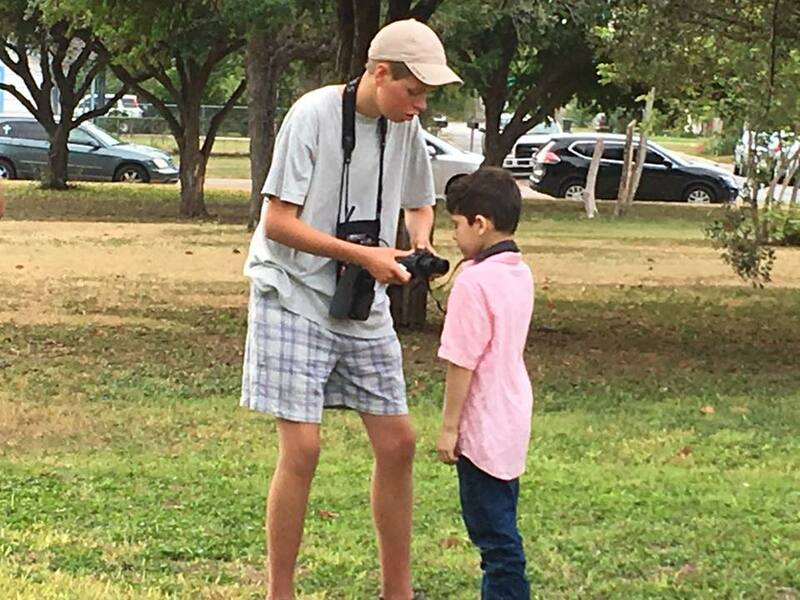 Gabriel is excited to help the next generation discover a passion for birds. Gabriel is looking through his 12" Meade Lightbridge telescope searching for Messier objects in the night sky. 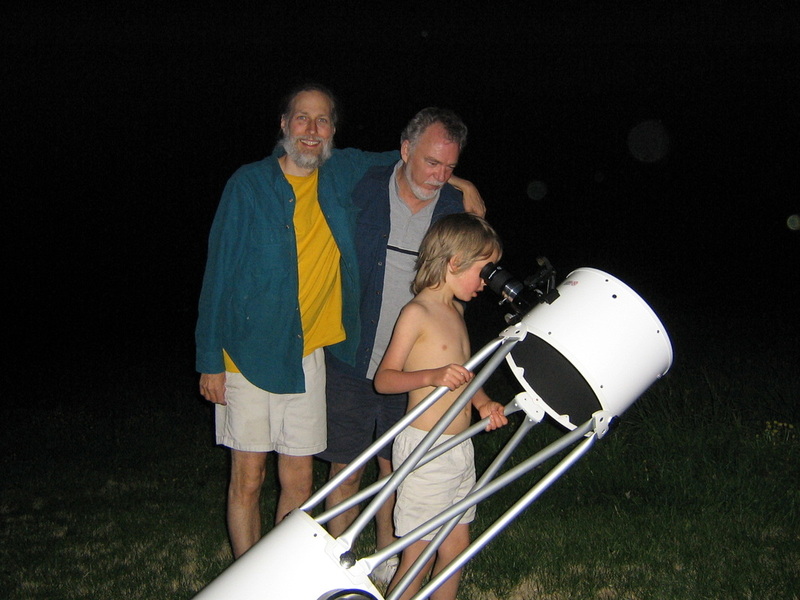 ​Gabriel is also an accomplished astronomer, having earned his Silver Messier Certificate from the American Association of Amateur Astronomers at age 9. His other interests are photography, hiking, and camping. Gabriel has appeared in one episode of the TV show Zona Latino, and was a guest on a Canadian talk show "Georgian Life". He has been the guest speaker at various bird clubs, libraries, schools and parks around the country. Gabriel's future is bright and promising. He plans to continue writing books, he also hopes to work for the Natural Park Service as an Interpretive Ranger, sharing his passion of natural world with others!